The best way to know it is spring in Japan is when the beautiful Sakura (Cherry Blossom) Trees are in bloom. The Japanese have a beautiful tradition associated with these trees called Hanami, loosely translated as ‘Flower Viewing’. It is then when they hold parties under these trees when they bloom in early spring. These parties are very popular in Japan and the entire country participates in it. These viewings are held from the end of March to early May. So popular these parties are in fact, that people reserve spots under the Sakura trees with blue plastic mats! They even reserve these spots as much as 12 hours in advance. These mats are even treated like floors in a house thus no shoes are allowed on them and thus removed before sitting down on the mats. There is even a sakura-zensen (cherry blossom front), a blossom forecast held by the weather bureau and is watched by all planning to celebrate Hanami. And there is even yozakura (night sakura) when people view these Sakura blossoms at night. In places like Ueno Park temporary paper lanterns are hung at night for this purpose. Some believe this beautiful tradition started during the Nara Period (710-794) and it was a viewing of Ume (plum) blossoms at first, but at the Heian Period (794 – 1185) Sakura blossoms became the focus of Hanami. This is a beautiful tradition and a day with blooms under blue skies might just be what we all need, wouldn’t you say? Want more? 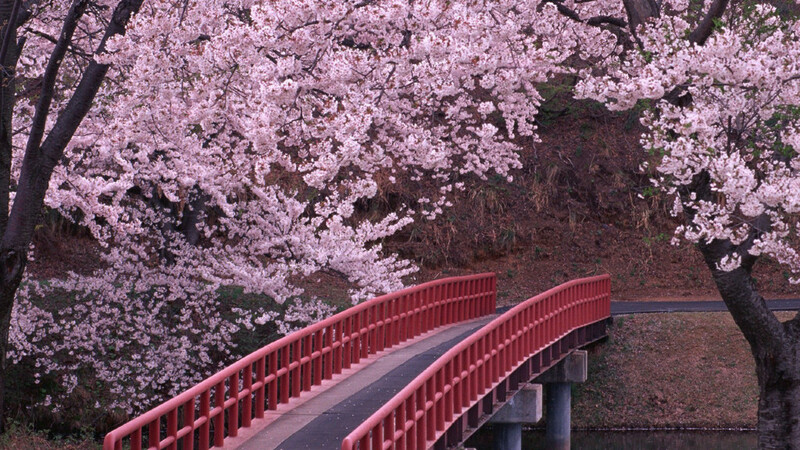 Read the following article on Hanami. Here is an awesome video on Hanami and we even learn some Japanese words! Also notice the blue mats on the grass. The video also ends off with a beautiful positive message. Enjoy.